Need an elegant looking yet super simple side dish in a jiffy? 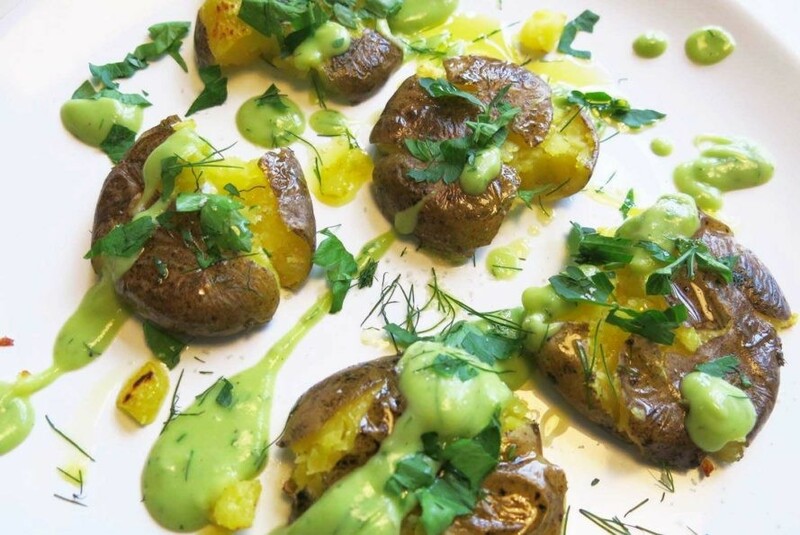 Here is our new favorite: smashed potatoes with avocado-dill sauce. 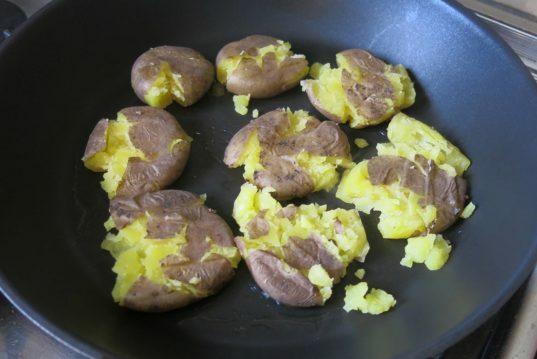 Great for overcoming the doom and gloom of winter, this delicious comfort dish involves boiling, smashing and toasting baby potatoes until crispy. 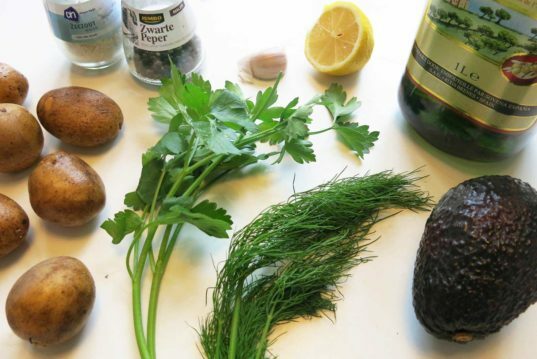 Serve with a scented avocado, dill, lemon and oil, lush green sauce. It looks fancy and tastes divine -- but we won't tell anyone how easy it was to whip up. 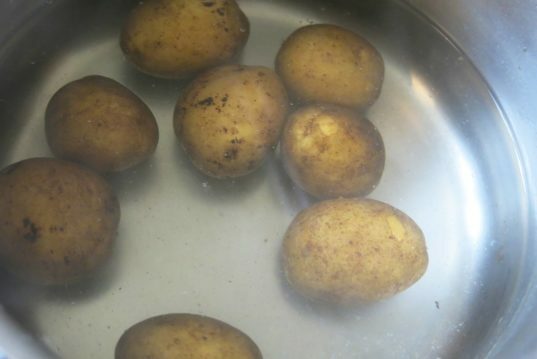 First, wash but do not peel the potatoes, and boil them in a small pan for about 20 minutes, until fork tender. Drain them and set aside to cool. 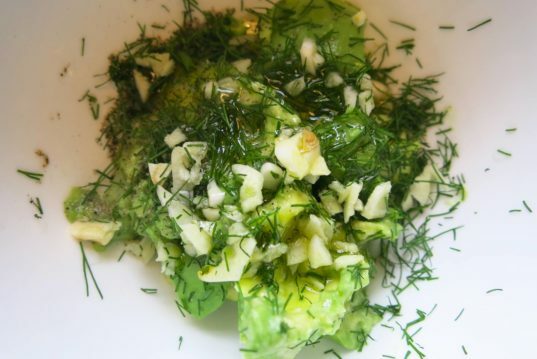 Chop the garlic and place it in a bowl with the avocado, dill, lemon, oil and seasoning. Stir, and keep adding water until you achieve a runny consistency. 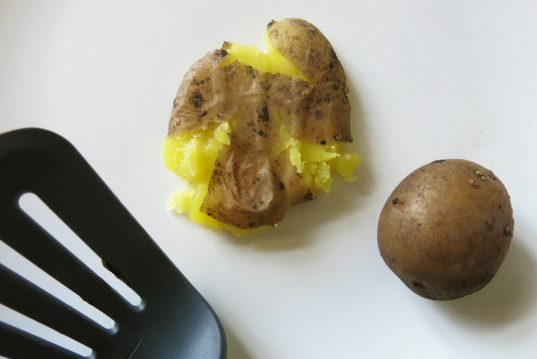 Once the potatoes cool down, get any flat utensil at hand, like a spatula, and gently smash the potatoes one by one. Drizzle a pan with olive oil and gently fry on medium heat (350°F) until the smashed potatoes are golden and crisp. Don’t try turning them over or they may break– one good crispy side is enough. Drizzle with the delicious avocado-dill sauce. Drizzle a pan with olive oil and gently fry on medium heat (350°F) until the smashed potatoes are golden and crisp. Don't try turning them over or they may break-- one good crispy side is enough. 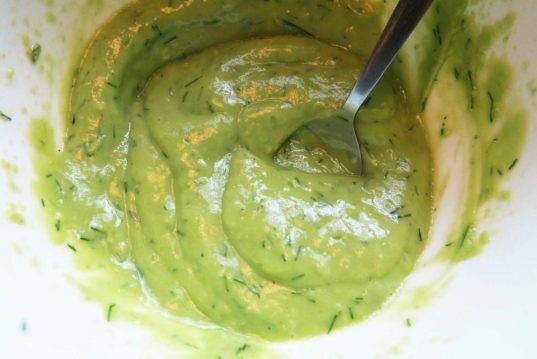 Drizzle with the delicious avocado-dill sauce.